Art of I.T.’s standalone countertop EFTPOS terminals contain all of the functionalities required to process EFTPOS transactions (i.e. printer, keyboard, display, modem, etc. ), which allows you to accept EFTPOS payments at the minimum cost. Art of I.T. works closely with the key suppliers and partner banking networks in the payments industry to ensure its customers are always offered the best practice payment solutions. Our latest EFTPOS terminals now support the contactless Tap-And-Go feature, which further fast-tracks and simplifies payment processing. To find out more about this feature, please click here. Hit the ground running with the VeriFone Vx810 Duet. 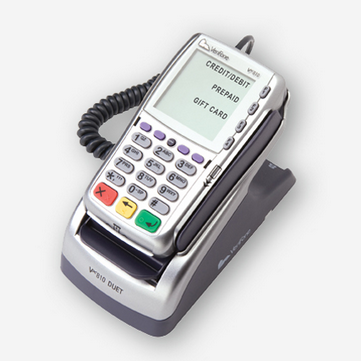 The Vx810 Duet offers a complete counter top payment solution with a sleek payment interface. It’s a one piece terminal with a two piece feel for fast, efficient, high volume transacting. 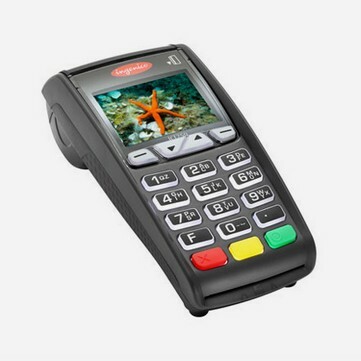 The Vx810 Duet will future proof your business with unrivalled connectivity from Ethernet, USB ports and a Secure Digital I0 expansion port which allows easy field upgrades to Contactless Payment methods. Ingenico ICT250 is an enhanced version of the series, featured with GPRS backup connectivity. This means the EFTPOS terminal will continue to work as normal in events of phone line and internet outages. It is an ideal solution for merchants who do not have reliable phone line and internet connections.